Aspire K2 Quick Start Kit, which contains 1.8ml tank and a 800mAh battery, brings satisfying mouth to lung vaping experience. 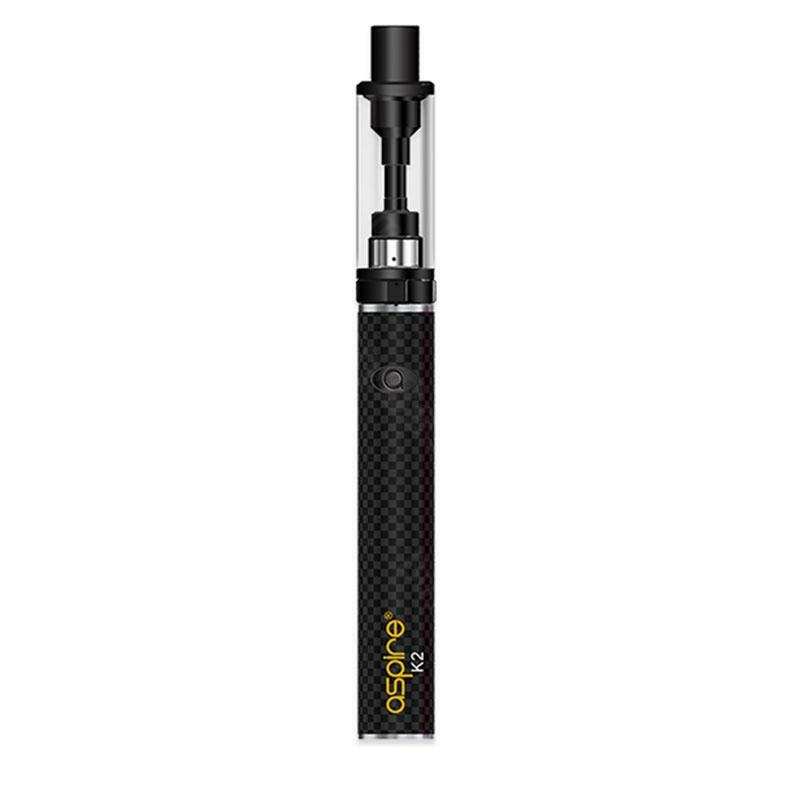 Aspire K2 Quick Start Kit, combines a 1.8ml K2 tank and an 800mAh K2 battery. It brings a satisfying mouth to lung vaping experience. This Aspire K2 kit includes 2 coils in 1.6ohm and a micro USB cable for charging. Black and pink colors in TPD Edition and Standard Edition. • Compatible with 5pcs VapeOnly BVCC Coil Unit for VapeOnly BVCC/BDCC Clearomizer/Tank and 5pc VapeOnly Dual Coil Unit for BDCC(Bottom Dual Coil Changeable) Cartomizer/Clearomizer. I have tried a few e-cigs and this is my favourite. It makes a good cloud of smoke (of course dependent on the liquid being used) and I don't get any burbling or "splashback" when smoking. My only criticism is that it doesn't give any obvious warning when the battery is running low. It's meant to show in the colour of the light, but it doesn't seem to do that. Aspire Cleito Glass Tube is a glass tube with varying capcities of 2ml/3.5ml/5ml and varying resistances of 0.16 ohm / 0.4 ohm. it is made of high quality Glass and Stainless Steel. I'm new to vaping, an old lady who's smoked forever...Chad handpicked the right juice for me!! Just like my cigs, but no gunk in my body/no smell on my clothes, and it smokes like my old long lost friends- the nasty cigarettes. Absolutely great device and A+ customer service!